The field of restorative dentistry involves repairing damaged or decayed teeth and replacing missing teeth. 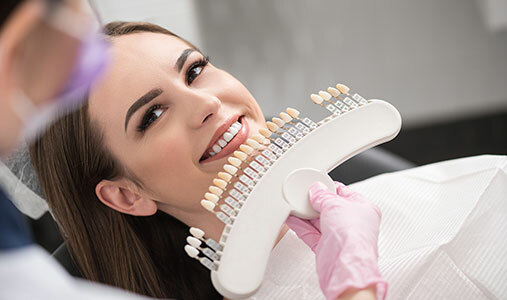 Essentially, the primary objective of this branch of dentistry is to restore your bite to optimal function and health. Our team of doctors at National Dental are well-equipped to address any kind of dental issue that comes your way. Perhaps the most common procedure in restorative dentistry, fillings are used to repair a tooth that has been compromised by decay. For several decades, the only type of filling available was amalgam – a mixture of silver, tin, zinc, copper, and mercury. Though amalgam restorations are still used occasionally today, many patients prefer tooth-colored composite fillings. These biocompatible restorations blend in with the surrounding tooth structure for a uniform appearance. In the event that decay breaches the pulp chamber deep within a tooth, root canal treatment will be required to remedy the problem. During this procedure, the infected blood vessels, nerves, and tissues are removed, and the canals are filled with a rubber-like material. Next, the tooth is sealed to deter recontamination, and a dental crown is often placed to fully restore the bite. If you are in need of a root canal in NYC, National Dental can help. A tooth that is severely damaged may require a dental crown. This custom restoration fits over an entire tooth to provide strength and reinforcement. Crowns can be crafted from a variety of materials, including metal, porcelain-fused-to-metal (PFM), and ceramic. The type of crown most appropriate for you will depend on your dental needs and your personal aesthetic preferences. Sometimes a tooth is too broken down for a filling, but not damaged enough to warrant a crown. In these cases, inlays and onlays – also referred to as indirect fillings – can be placed. Made from either composite resin, gold, or porcelain, these restorations are designed to repair cavities in the chewing surfaces of the teeth. Inlays are for moderate damage and rest between the cusps, while onlays treat more extensive damage and involve at least one cusp. Missing teeth can take a toll on your bite. Therefore, it is important to replace them. Once of the most common teeth replacement options is a dental bridge. This multi-unit restoration can be fabricated out of metal, porcelain-fused-to-metal, or ceramic, among other things. The natural teeth on either side of the space serve as the anchors for your new restoration. Therefore, they will need to be slightly reduced to ensure a proper fit. Designed to replace one to three missing teeth in a row, a bridge effectively fills in the gap in your smile for optimal function and aesthetics. Used to replace teeth for decades, today’s dentures are more streamlined, sleek, and comfortable than their older counterparts. Our high-quality dental materials also provide a lifelike and natural-looking appearance. Supported by the gums and the underlying bone ridge, full dentures can replace an entire arch of missing teeth. Individuals who have several sporadically missing teeth can benefit from a partial denture. 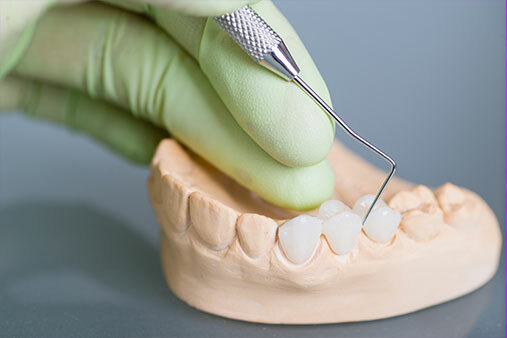 In most cases, the fabrication of your final dentures can take a few weeks. As you can imagine, most patients do not want to wait that long after having teeth extracted. With same day dentures, you will be able to wear an immediate restoration the very same day. Laser technology has changed the way we do dentistry. Light energy can be used to treat hard and soft tissues with minimal discomfort, resulting in a faster healing time for our patients. 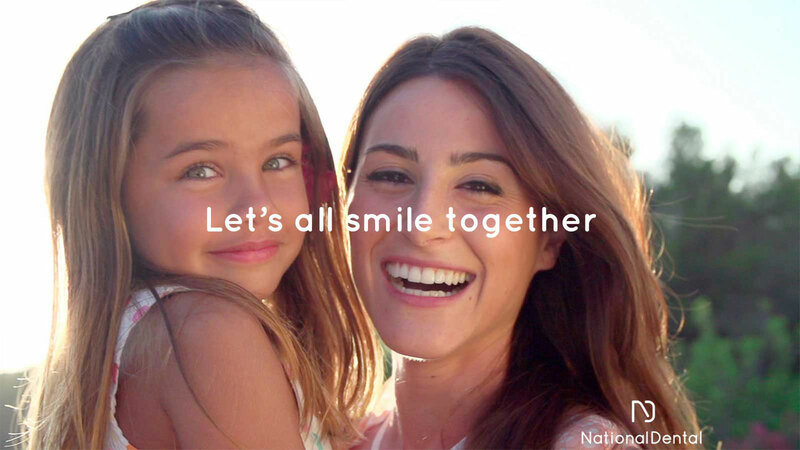 If you are seeking a restorative dentist in NYC, we invite you to schedule an appointment at National Dental. Contact us online or give us a call at (516) 535-0544.